• 8 people like this. Do you like this? 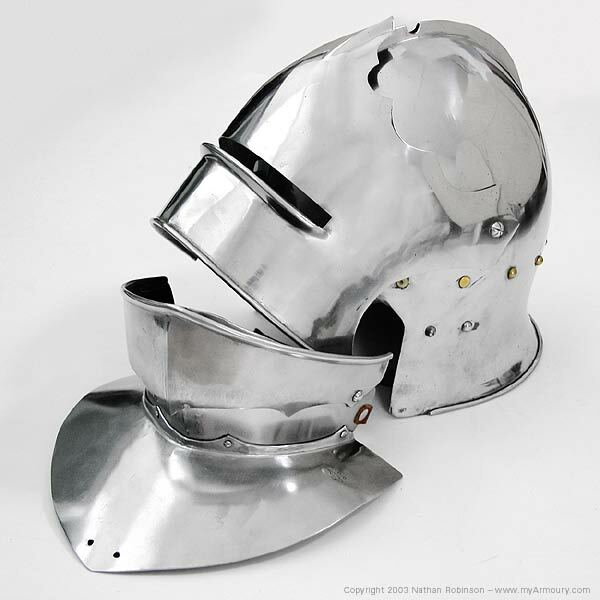 The sallet is made to guarantee protection only for the upper part of the head and in battle dress and is generally completed by a chin-guard, or bevor, such as the one shown here. 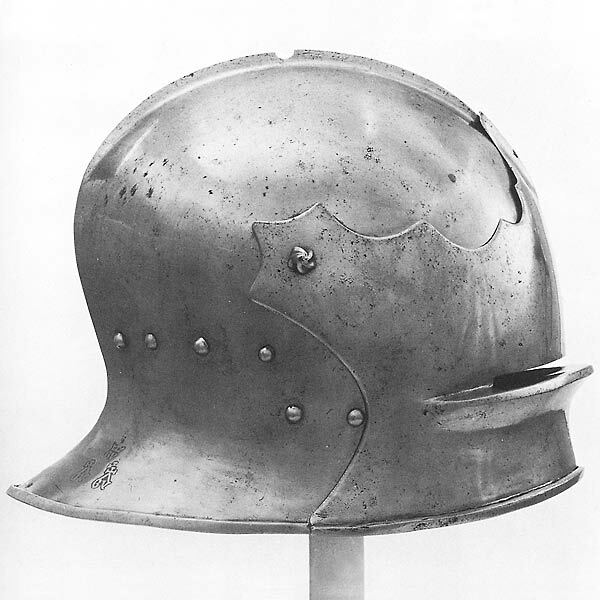 This sallet is reinforced by a small crest (here with a hole for a feather plume), and has a hinged, moveable ventail, including protection for the eyes (here completed by a forehead guard). 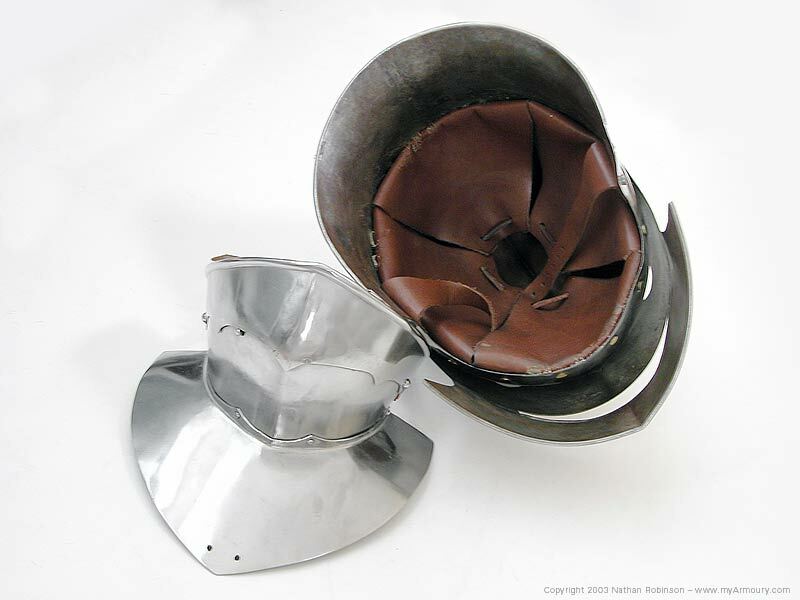 An adjustable leather liner is fitted within. The bevor is also hinged and includes a locking mechanism. 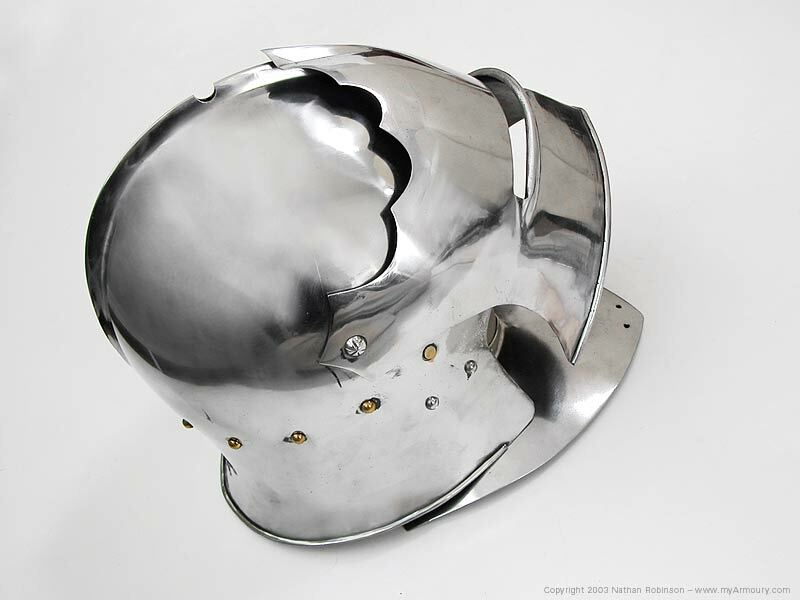 It can be worn up for complete protection of the neck and lower part of the face, or down to expose the mouth. Bevor Maker: Valentine Armouries of Canada. 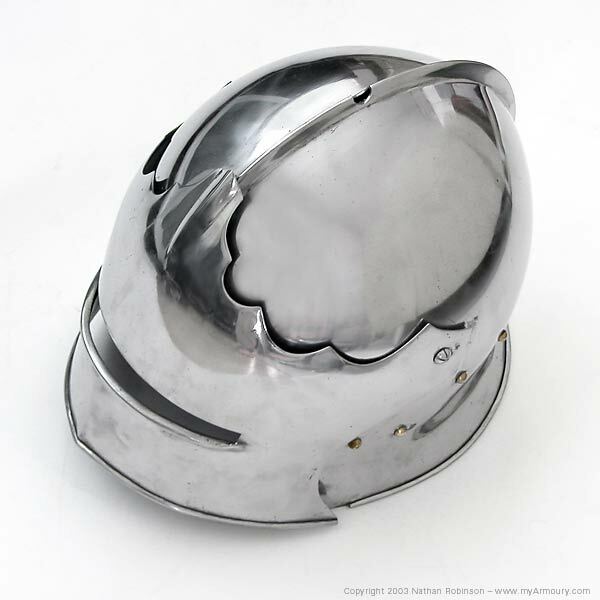 This helm is inspired by many originals such as this one located in the Tower of London, dated 1440-1450.